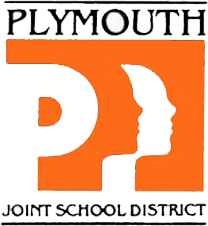 Plymouth High School has added three high-tech machines that further its commitment to comprehensive education. All three recently were installed in the school’s Fab Lab, known formally as the LTC-Plymouth Science & Technology Center, a key component at a school whose middle name is Comprehensive. Each of the three came about thanks to a partnership: an industrial robot donated by Kohler Co., a laser engraver donated by Sargento, and a CNC router made possible in part by a state Fab Lab grant. PHS technology education teachers watch as the new CNC router precisely carves the word “Panthers” from a block of wood. The new Computer Numerical Control router will be able to create signs, jigs, fixtures, and furniture using CNC technology. The Forest Scientific 10-by-5-foot Automatic Tool Changer Vacuum Table can use up to eight different tools to cut or engrave wood or aluminum. It was installed in December, and teachers received two days of training in January. Students will begin working with it during the second semester. The router will be used in a variety of classes – including Woods, Furniture Making, Construction, CNC Programming, and Computer Integrated Manufacturing – as well as by the PHS Technology Education & Engineering Club and possibly community classes. The router puts the PHS woods/construction curriculum on par with other technology and engineering programs in the Science & Technology Center, which already features two CNC mills, a CNC plasma cutter, a CNC lathe, two CNC simulators, a 3-D printer, a welding training facility, engineering/CAD Labs, and an industry-standard automotive lab. The purchase was made possible in part thanks to a $25,000 Fab Lab grant from the Wisconsin Economic Development Corporation. PHS students operate the Fanuc Fenceless CERT Cart. Kohler Co. donated $65,000 to launch a robotics and automation program at Plymouth High School, the centerpiece of which is a small industrial robot. The Fanuc LR Mate robot represents an entire automation system – providing opportunities for such diverse positions as robot programmer, controls engineer, parts designer, and more. It has a 2D camera and scanning capabilities. It is on wheels and can be folded up to be moved. PHS plans to utilize the robot in as many classes as possible, beginning this semester with the Computer Integrated Manufacturing class, part of the school’s Project Lead the Way sequence. The donation is the third in a series of initiatives resulting from a partnership with Kohler, which approached PHS in 2016 looking for ways to help introduce students to manufacturing careers. The first was lending engineer Paul Theisen to demonstrate problem-solving methodology to the PHS capstone engineering class. Kohler also collaborated with the PHS Tech Club, supplying an engine for the Panthers’ Formula High School car and testing the engine in its dyno lab. The laser engraver engraves a wooden sign. Sargento donated $20,000 to purchase a laser engraver, which was installed in October and already is being used by students in the Graphics and Woods Processes classes. It also will benefit members of the PHS Tech Club. The Universal Laser 6.6 has an 18-by-30-inch workspace and can engrave and cut signs, designs or photos into a variety of different materials (including wood, acrylic, glass, and ceramic). Making these opportunities available to our students is just one of many ways in which the Plymouth School District works hard to prepare all graduates to pursue the next stage of their lives, whether they are bound for college, technical school, the military, or the workforce. • Read an article about the new PHS Cupcake Challenge and other examples of our Collaboration & Innovation. • Explore our interactive District Report Card to see how an exciting mix of academics, extracurriculars, and other enriching experiences allow our students to thrive. • Contact the district office at (920) 892-2661 to schedule a visit.